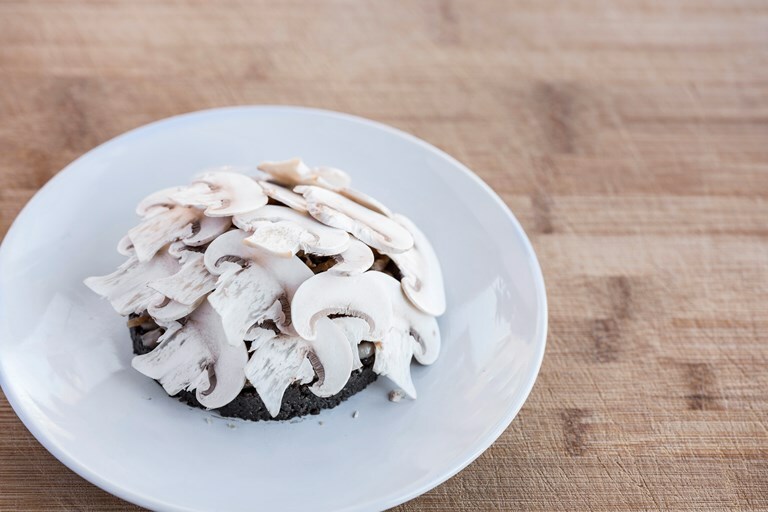 This inventive dish is a love letter to funghi, with a rich mushroom duxelle, pickled mushrooms and raw sliced button mushrooms complemented by earthy Jerusalem artichoke purée and crisps. Serve at a vegan dinner party to prove you don't need animal products to create beautiful plates of food. This dish is by Rob Howell, head chef at Josh Eggleton's restaurant Root.